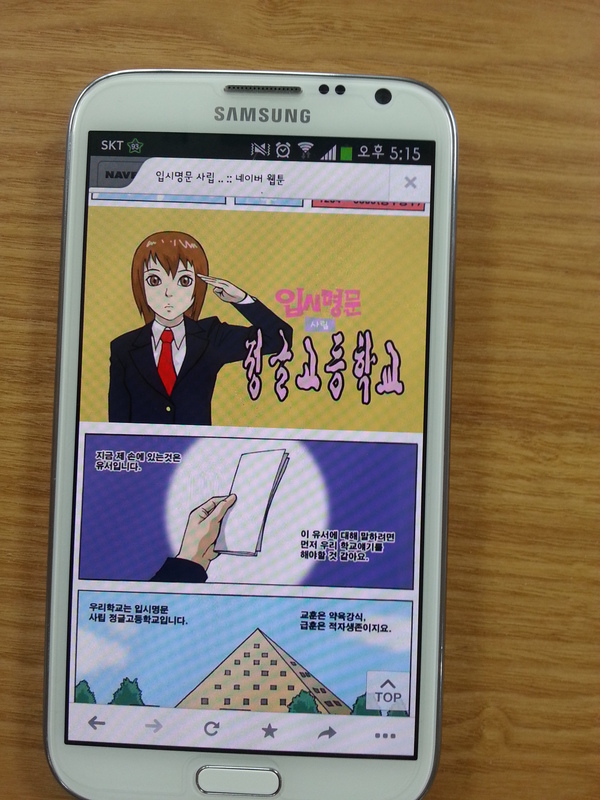 Seoul has become a major center for the production of webtoons over the last five years. These highly creative visual narratives express with particular vividness the experiences of young Koreans. The webtoon “Jungle High” is remarkable example that describes daily life for Korean youth inside a ruthlessly competitive Korean high school. The actual experience of youth, as opposed to the myths shown in the media, is portrayed in an original and compelling manner in this webtoon.